Guess it pays to use something not easily accessible as your coin bank! That is what Cebu Habal-habal Motorcycle Driver, Jeffrey Catayas did. He earnestly saved coins for months on the slats of his bamboo bed. Old fashioned as it may seem, it’s a sure fire way to really save, at least to Catayas. Whatever his reasons maybe, why he chose to use his bed as his coin bank, he definitely has discipline. He could have used jars that can easily be broken, but that may be easier as well to crack open, and tempt him to use for purposes other than what he has made use of now. 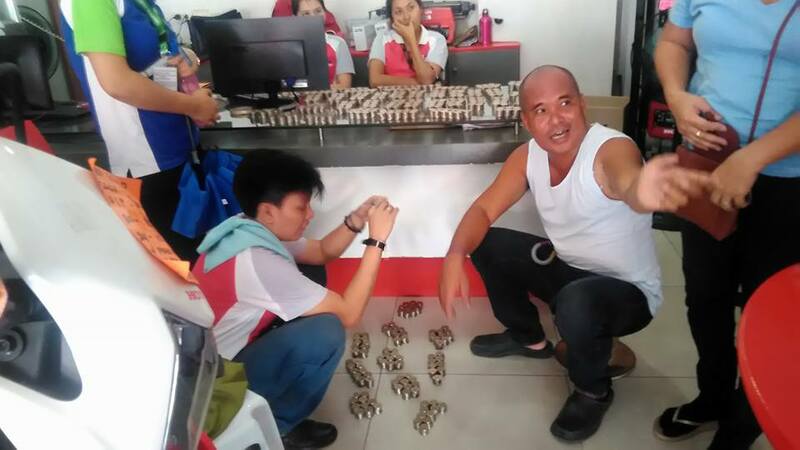 After just 8 months of saving P5 and P10 peso coins, he brought his accumulated savings to a Honda Dealer in Cebu. 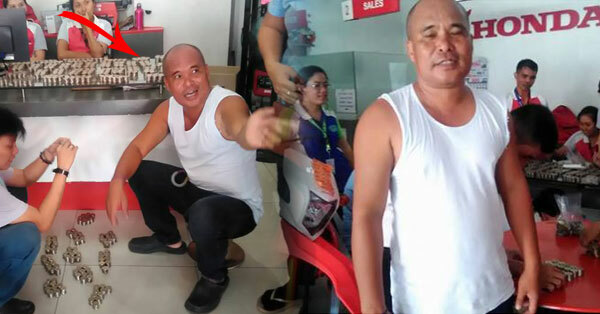 As was reported on Cebu local newspaper Super Balita, staff helped him count his money to pay for a new Honda Motorcycle. Just imagine that table full of coins! One commenter even paged the BSP for the action of Catayas. Although the commenter says he was only joking, there is a policy ruling by Bangko Central ng Pilipinas (BSP) of the hoarding of coins. But piggy banks are still exempted to this. Pinoys have a remarkable discipline and determination when it comes to saving up for something we want. And Catayas is only one of the many Pinoys who proves that there is nothing impossible if we just divide im and possible to make it “Im possible”.